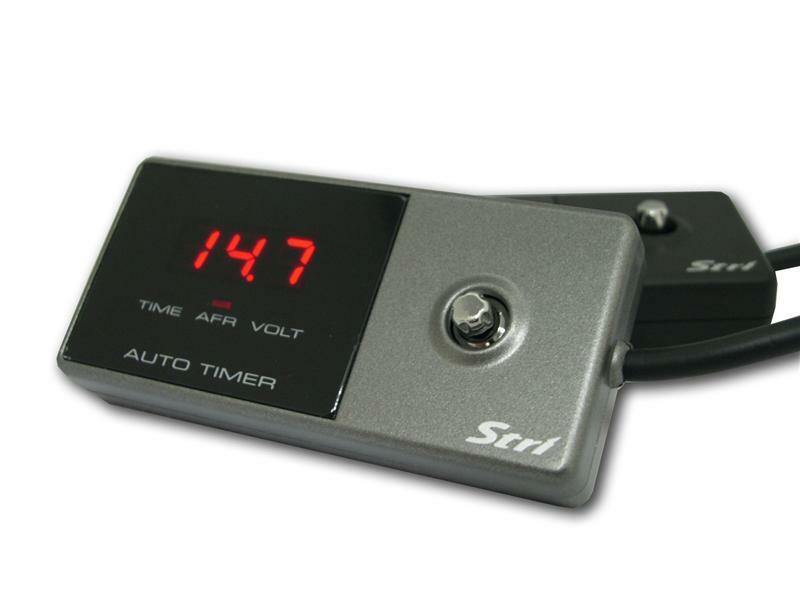 Stri Auto Timer UNIVERSAL - Dezod Motorsports Inc - Home of the automotive performance enthusiast since 2002. The Stri Auto Timer is one of the smallest timers on the market. The unique multi angle joystick control button allows easy operation. The Stri Auto Timer smartly utilizes the factory O2 sensor to display theoretical air fuel ratio. Additional features such as voltage display and user preset low voltage warning. A manual timer mode is also built in for users to preset a desire after idling time. Handbrake safety feature shuts off the vehicle when the handbrake is released without the ignition key.